Hi All, it’s February already, scary, right? And February is (Drum roll please) Women in Horror Month. Yes, this is the time for all you female horror writers (myself included) to tell everyone what amazing horror writers you are. 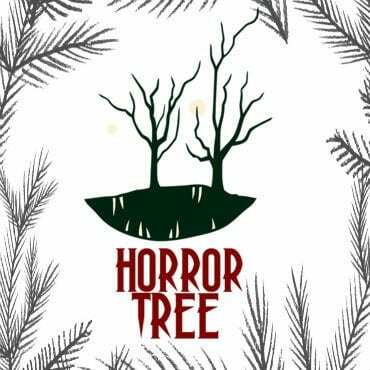 I’ve been writing seriously since 2012 (wow, time sure flies), but I had no clue that there was a month dedicated to horror writers until I joined the Horror Tree crew. I know, shocking, right, considering I’m a female horror writer? Well, this year, I have decided to write something for this special month. So, what do I have for you today? Well, I want to talk about how you shouldn’t let self-doubt stop you from writing those dark and disturbing stories just because you’re a woman. Often when a person thinks of a horror writer, they automatically assume it’s a man. So, when a woman steps forward and tells the world that she loves writing horror, she is likely to get some funny looks. I should know – I’ve had plenty of funny looks when I’ve told people what I write. Because I’m a woman who loves pink (I wear it a lot), who bakes, watches Barbie films and musicals, and has a huge (and I mean huge) collection of cuddly toys, people are often gobsmacked when I tell them that I write horror stories. Obviously, they assume I must write chick lit or that romance stuff, but I don’t want to write about a girl with relationship dramas and blah blah blah. No, I want to write about a girl being possessed and murdering her entire family. Even though some would say I don’t look like a typical horror fan, I’ve been a horror fan even before I started writing. When I was younger, I loved watching programmes like Are You Afraid of the Dark and Goosebumps. I read horror stories – R.L. Stine and Stephen King are my favourites. I also love the zombie horror genre – The Walking Dead and Z Nation are my favourite TV programmes – I’ve also read some of the Walking Dead books. I love being scared, and even better, I love scaring people. So, of course, I was going to become a horror writer. However, since I started working on my novel, I wondered if anyone would buy a horror novel from a female writer. It’s not easy going into what appears to be a male-dominated genre. When people think of a horror writer, they picture a man, not a woman dressed from head to toe in pink (I’m exaggerating, but I do love pink). Sadly, I’ve heard about many female writers (not just in the horror genre) that use a pseudonym or initials, so they don’t put off male readers. This has made me wonder if I should have done the same – used initials. And then doubt starts creeping in: if people don’t think women horror writers are good enough, then they’re not going to think you’re good enough. Everyone’s going to laugh at your weak attempts to frighten them. But then I decided to fight back. Being a woman doesn’t mean you can’t be scary. It doesn’t mean no one will buy your books. You don’t have to change genres. And there’s no point in hiding behind initials because people will eventually find out who you are, especially if you do book signings. I don’t know what the secret is to guarantee success, but all I know is that you have to do what’s right for you. Don’t let anyone tell you that you can’t do something – unless it involves a crime, then it’s best not to do that. Happy New Year! Wow, I can’t believe that it’s 2017 already. I hope everyone had a lovely Christmas and New Year, but now it is time to return to the hard work. A new year means a new start for your writing, and a new chance to fight Mr Self Doubt. Make writing goals – writing goals can benefit writers. Last year I wrote a post about it titled ‘The Benefits of Writing Goals’. Writing goals can help to keep you motivated and focused on your writing projects. And when you’re more focused you have less time to listen to Mr Self Doubt. So set some goals for 2017, and if you need any ideas I have listed 15 resolutions for writers in my 2015 post titled ‘New Year’s Resolutions for Writers’. I have also created a list of my 2017 writing goals, which I hope I can do better with than I did with my 2016 writing goals. Take part in the Setting Self Doubt on Fire challenge – last year I wrote a post titled ‘The Setting Self Doubt on Fire Challenge’. In this post, I talked about how I had been suffering from self-doubt and how I wanted to fight back by doing the Setting Self Doubt on Fire Challenge. To take part in the challenge all you have to do is do something to beat Mr Self Doubt (e.g. submit a story) and share what you’ve done on Facebook or Twitter using the hashtags #settingselfdoubtonfire and #beatingselfdoubt. Do something that scares you – there are many things about writing that will scare you. It’s scary to submit your work, it’s scary to publish your work, it’s scary to read out your work, it’s scary to start writing, and it’s scary to join a writing group. So, whatever scares you, you need to do it. I did this last year when I had to read my work out in public (I talked about this in my ‘How to Prepare for a Book Reading Event’ post). It was terrifying to do, but I’m glad I did it. 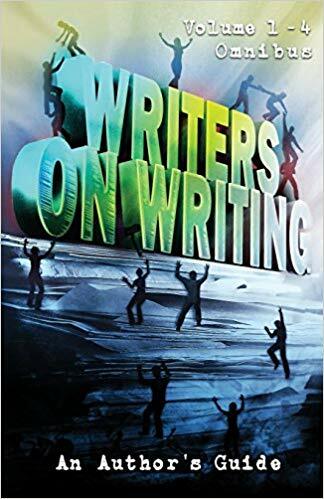 Make writing your priority – it’s easy to neglect your writing projects in favour of other tasks, especially when you lack self-belief, but you’ll never beat Mr Self Doubt if you don’t spend the time you need for your writing. Find ways to boost your self-confidence – you may remember that I wrote a post titled ‘How to Boost Your Self-Confidence’. The worst enemy of self-doubt is self-confidence, so finding ways to boost your self-confidence will help you to lock Mr Self Doubt away so you can continue on your writing journey without the negativity. So there you have it, five ways to beat Mr Self Doubt in 2017, whichever way you choose to beat Mr Self Doubt I wish you all the best. Keep writing folks, and let’s make 2017 the year we finally take a stand. Hello, everyone! I can’t believe NaNoEdMo and NaNoWriMo are over already. It doesn’t seem that long ago that I vowed to complete the third draft of my novel in November. So, did I reach my NaNoEdMo goal? Well, I’m sad to say that I didn’t reach my goal. And even after changing my goal to a more realistic one (completing 50% of my novel), I still didn’t reach my goal. However, I did manage to edit 10% of my novel, which is nowhere near my goal, but it’s something. There are two reasons why I didn’t reach my goal: firstly, I struggled to stay motivated and often found myself distracted my other tasks and projects, and secondly, my goal was too ambitious – doing the third draft of a novel takes more time than the second draft did. Now, while I am disappointed that I didn’t reach any of my goals, I’ve decided to stop being so hard on myself because I did something which is better than doing nothing. Every step forward is a step forward, no matter how small the step. In this writing game, you have to focus on the positives, even if the positives are small. For example, you receive nine rejections, but one acceptance, it’s the acceptance that you need to focus on because it’s the one yes that matters the most. So if you’ve not reached your NaNoEdMo or NaNoWriMo goal, I want you all to stop being disappointed in what you haven’t done, and start celebrating what you have achieved. You may have only written 20,000 words, but that’s 20,000 more words than you had before. You may have only edited five chapters, but that’s still five more chapters than before. I would like to congratulate those who have reached their NaNoEdMo and NaNoWriMo goals, and I would also like to congratulate those who didn’t reach their goals because you’ve all done well and no matter how small the achievement, you still have something to celebrate. Yay us! So, turn that frown upside down and go celebrate because we are all NaNo winners.